The vast majority of our products are available to purchase online, delivery is charged at £ £5.95 for our Standard 3-7 Day service to the Mainland UK on all orders under £100. Orders over £100 will be delivered free of charge. An expedited delivery option may be available on certain orders for an additional charge. Unfortunately there are some items we do not sell online, such as chairs, scooters and certain other items. This is because we believe that certain products should not be sold in such a manner. We believe that because these items are so important to the life quality and independence of our clients we want to help guide you through the products personally, offering free expert advice, and making sure everything has been considered. To put it simply we do not need to sell them the wrong product. Which is why we only deliver them ourselves to customers living within our optimum service area. Furthermore within our Optimum Service Area we can offer our full range signature level of aftercare, this means that our engineers can get out to you ASAP, without having to wait for national firms or independent contractors to fit you in. 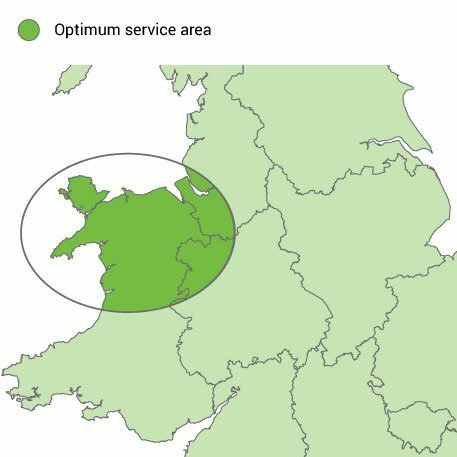 If you are unsure if we cover your area, or live just outside of it, then please contact us, and we will do our best to help you.